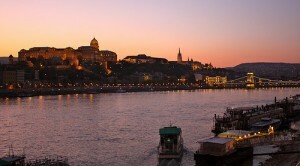 Budapest Events: what to do in Budapest? Some of the best festivals, concerts, fairs, fun parties and sports events in Budapest, Hungary – handpicked by Top Budapest travel guide. Choose a month to see what is on in Budapest at the time of your visit. If you are planning your trip to Budapest, find out what’s on: here is TopBudapest.org Event calendar to help you. We only touch the tip of the iceberg, there are a lot more events waiting for you. One Day in Budapest: things to do and see if you only have one day to visit Budapest.